Provide comfort for the family of Scott Balas with a meaningful gesture of sympathy. 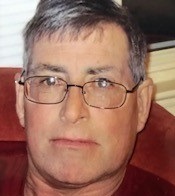 Scott K. Balas, age 57, of Janesville died on Tuesday, January 22, 2019 at Beloit Health & Rehabilitation Center due to complications from an extended illness. He was born in Janesville on August 5, 1961, the son of Jerry Balas and Dorothy (Garvin) Balas. Scott attended Parker High School and later married Diane L. Mellom on October 18, 1987 and together they had one daughter. Scott was a very hard worker and over the years he has worked at Certified Parts, Morgan Corporation, Harpo’s Restaurant, Todd’s Tree Service, and retiring from his own lawn service business, when his health declined. Scott will be remembered as a very smart, kind, caring, and sensitive gentleman, who was a recovering alcoholic and a friend to many. He is survived by his daughter: Casey (Derrick) Reed of Beloit; grandchildren who he adored: Christopher, Romeo, Kendrick, and Jahiem; his mother: Dorothy (Garvin-Balas) Peterson of Janesville; his father and step-mother: Jerry and Dianne Balas of Janesville; his sister: Cindy (Rodney) VanBeek of Afton; his brothers: Jay Balas of Pocatello, ID and Brett Balas of Gladstone, MO; step-brother: Brett (Jennifer) Pankey of Holland, MI; two uncles: Robert Punzel and Alvin Garvin; several nieces, nephews, other relatives and friends. He was predeceased by his grandparents: Paul and Violet Garvin, Henry Balas and June Voss; and his aunts and uncle: Alice Punzel, and Marion and Bob Geiger. Thank you to the medical staff and Doctors for the care given to Scott during his illness, the caregivers at Beloit Health & Rehabilitation Center (especially Tina) and Mercy Hospice, for the wonderful care, prayers and support given to Scott during his final journal. Following Scott’s wish, private family services will be held. To send flowers in memory of Scott Kevin Balas, please visit our Heartfelt Sympathies Store. Provide comfort for the family of Scott Kevin Balas by sending flowers. Dear Family, I am so sorry to hear of the loss of your dear loved one and send you my sincere condolences. May you find comfort from God's word at Revelation 21:3,4 and John 5:28,29. Heartfelt prayers are with you during this difficult time.